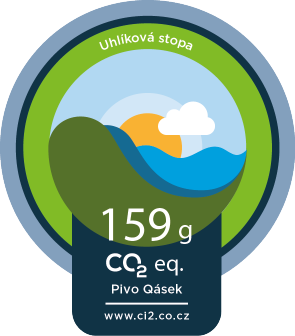 Reducing greenhouse gases emissions is a publicly beneficial activity, which helps not only the human society but also thanks to its contribution to the climate stability is beneficial also for operation of ecosystems and life welfare on Earth as a whole. 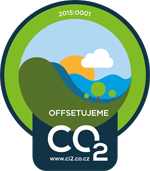 If you cannot reduce the current greenhouse gases emissions which are connected with the activity of Your company or another entity, we can offer You the option of supporting the selected offset project, whose realization ensures reducing emissions elsewhere. 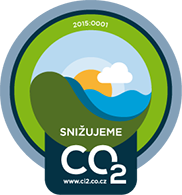 The offset projects, which are verified by the guarantor of the program as eligible for filing them in the program MONITORING / REDUCING CO2, are publicly beneficial projects realized in the Czech Republic. This is the plan realized in the public sector (usually by a particular city, town or municipality), which provably leads to capturing greenhouse gases or to prevention of their origin. This concerns particular investment and non-investment events (activities or measures) meeting requirements of the program. 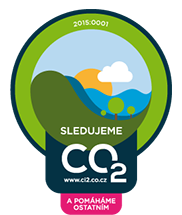 Verified offset projects offered and realized within the program MONITORING / REDUCING CO2 fulfil quite strict conditions and entry requirements, so as to ensure achieving of the intended beneficial impact on the Earth climatic system when finishing the realization period. These projects are prepared, realized and monitored in cooperation with experts in the given field, in which the project is realized. For example, when planting trees or vegetation features this project is supervised by experts dealing with landscape creation, forestry or ecosystem services. At the same time, the emphasis is put on the fact that the project is beneficial for the community (inhabitants of a municipality or city, town) on the territory of which it is realized. Furthermore, these experts check that achieved reduction of greenhouse gases emissions will not be realized at the expense of conditions of other components of the environment (so that its deterioration does not occur). 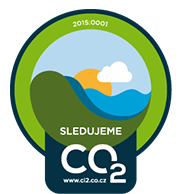 Financial support for ensuring the realization of offset projects can be provided by the participant in the program MONITORING / REDUCING CO2or by other entities (legal and natural persons). Provided funds are collected on a special transparent bank account of the program and are purposely bound to preparation and realization of verified offset projects. The bank contact: Fio banka, account number: 2100 848 139/2010. The provided support is divided into two parts. The substantial part (85 % from the granted amount) is purposely used for realizing the offset project. The remaining part (15 % from the granted amount) is designated for expert and technical support and administering the offset projects. 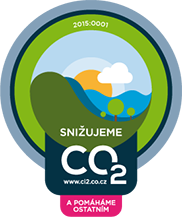 CI2, o. p. s. (public benefit organization), as the guarantor of the program ensures publicising of summary information on realizing and finishing offset projects, supported by funds of individual donors at: www.snizujemeCO2.cz. The donors ‘names will be publicised here as well.